Like many Kabyles around the world, we were choked to learn about some famous artists who responded with an affirmative to an invitation from the fascist Algerian gouvernement. The event was orgonized by the current head of the regime, Gaid Salah. The regime used a Kabyle as a front facade, the current prime minister, Sellal. The Kabyles were outraged but let’s step back and analyze the matter. For as long as we can remember, these artists never orgonized any concert or activity in favor of their native Kabylia. They have been more interested in Euros and Dollars then their nif of being Kabyle. The artists in questions were applauding a speach made in Arabic in a land of Imazighen by a Kabyle, when nearly at the same time the vise-minister of defense, Gaid Salah, was threatening Kabylia of a war and extermination if the Kabyles don’t surrender. They were applauding a regime that is the same one who killed over 120 people in black spring of 2001. It is the same regime that barred Ferhat Mehenni and many other Kabyles from visiting their home land of Kabylia. It is the same regime that assassinated hundereds of Kabyles. The Kabyle people are mature and tolerant but can no longer accept to be stubbed in the back. The Kabyle people may consider forgiving some of these actions if these artists make a public communication where they ask Kabyle people for their forgiveness. we understand that Kabylia needs all of its sons and daughters but we don’t believe it needs those who side with the enemy. 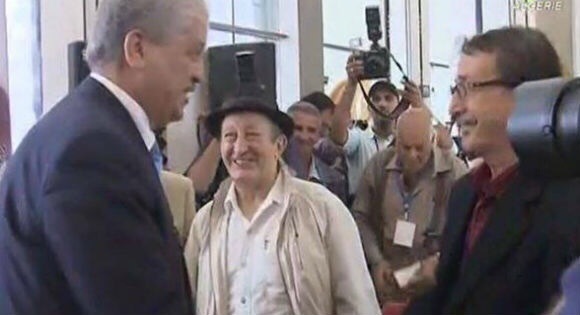 We, the founder of America Kabylia Friendship for Liberty, are disgusted by the behavior of these artists used by a regime who is destroying Kabylia and assassinating its sons and daughters. We are from Kabylia and still have a nif. A person who violates the trust of its citizens must be held responsible for its actions. We cannot forgive or forget. We, the Kabyles with nif, call for a total boycott of these artists. The boycott reaches from turning away from their concerts, buying these CD or song on iTunes to listening to their songs. Our position will sustain and persevere for as long as these artists don’t ask for forgiveness.